If you’ve ever windmilled your arms or scratched your back, you quickly understand the freedom of movement your shoulders provide. This freedom comes with a price, however, because your shoulders are also especially prone to overuse and overextension injuries. 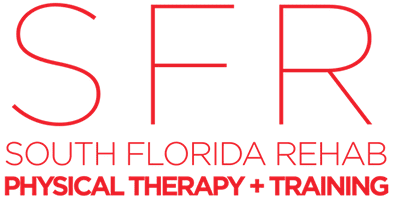 At South Florida Rehab and Training Center (SFR) in Miami, the physical therapists are trained to deal with shoulder pain and offer techniques and therapies that will have you waving your arms in no time. To learn more, call or book an appointment online. In all of these cases, limited movement of the arm or sharp intermittent pain that comes with movement often accompany shoulder pain. What are the best treatments for shoulder injuries? Because physical therapy concentrates on restoring movement, alleviating pain, and regaining function, it’s the therapy of choice when it comes to rehabilitating shoulder problems. The goal at South Florida Rehab and Training Center is to rehabilitate the injury and strengthen the area to prevent re-injury down the road. In fact, not only do the physical therapists work to restore full function to your shoulder and arms, their techniques leave these joints in better physical condition than when you started. To restore pain-free movement to your shoulders, call South Florida Rehab and Training Center or book an appointment online.